For the Simworx team, which has designed, built and installed its products in locations worldwide, including in the UK, Europe, North America, South America, Asia, New Zealand and the Middle East, quality and innovation are key. “We strive to be the leading global supplier of media based attractions,” says company CEO Terry Monkton. 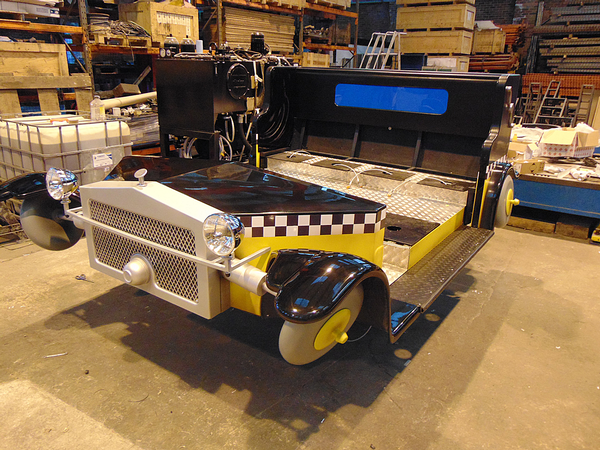 The Simworx service book includes full turnkey solutions, custom attractions, product development, manufacturing and service support, to film content, motion programming and complete themed attractions. For Monkton, as a leading technology company, Simworx always has to be at the forefront in every part of its business. 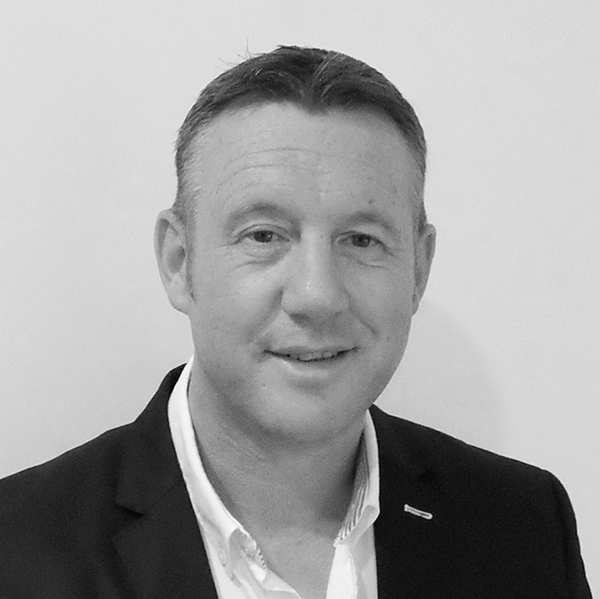 Focussing on the Stargazer and Immersive Tunnel rides completed for the recently opened Parc Spirou in France, Monkton explains how a new attraction goes from conception to reality and the steps that have to be taken to ensure it reaches the highest quality standards. “We were originally approached in June 2013 by a company called Parexi,” says Monkton. “They had developed the concept and masterplan for Parc Spirou and were looking for Simworx to produce a number of media based attractions for the park based on the Spirou IP . 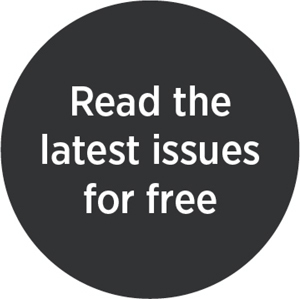 For Simworx, the project management team was made up of Richard Monkton and Tony Whiley – overseen by head of projects Martin Booth – along with mechanical and electrical engineers, software and AV technicians. Outside of the company, Simworx worked with a number of different parties, including Parc Spirou’s management team, Parexi’s project management team, IP provider Média Participations, the local authority, shareholders, investors and the park’s safety inspectors Socotec. “Before signing the contract, we discussed the final ride choices, and produced concepts and first draft layout drawings,” Monkton explains. “Once the contract was signed, we moved to the design stage, which typically features preliminary design and detailed design. During the design phases, Simworx will work with the client’s architects to provide layout drawings and information for facility load details and power requirements. This means the architects can then make a start on creating a structure to house the ride, queuing areas, pre-show area and the plant room. Through the entire process, quality and safety are always placed at the forefront of the process for Monkton. “The client is invited to check the work in progress throughout the process,” he says. “We carry out a strenuous factory acceptance test, which the client is invited to attend before the ride’s shipping. When working with intellectual properties, an extra layer is added into the process. Typically, the park arranges a licence agreement with the IP provider. 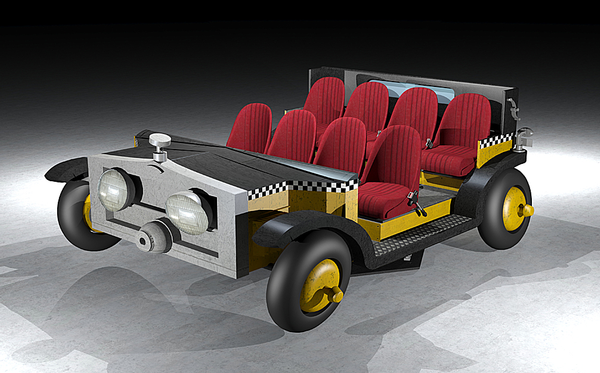 Simworx will then custom-design a ride tailored to the park and the IP’s requirements. “When we produce a ride related to an IP , we produce an initial concept and send these to the parks, who in turn send them to the licensor for approval,” says Monkton. Simworx’s Stargazer ride, as an example, is based on the character Gaston from the Spirou universe. The ride sees guests seated in replicas of Gaston’s car and taken on a wild ride with the character, who is an enthusiastic inventor. “These are highly dynamic, 6DOF, eight–seater vehicles. Four are used in the attraction,” Monkton explains. While some levels of involvement from the client are obviously expected, how much involvement during the development process is up to the client and what the project entails. “It differs between whether the ride is a standard ride from our portfolio or is a custom ride,” says Monkton. “The client is involved through the preliminary design phase – and possibly, once complete, the final detailed design stage. “We stay in touch with the park’s project management team continually, keeping them informed of the development and build of the ride, as well as installation and commissioning planning. As a company with vast experience and many high-profile projects, Monkton says the key to success is to be aware of, and subsequently avoid, any potential obstacles you could encounter through the entire process – from start to finish. 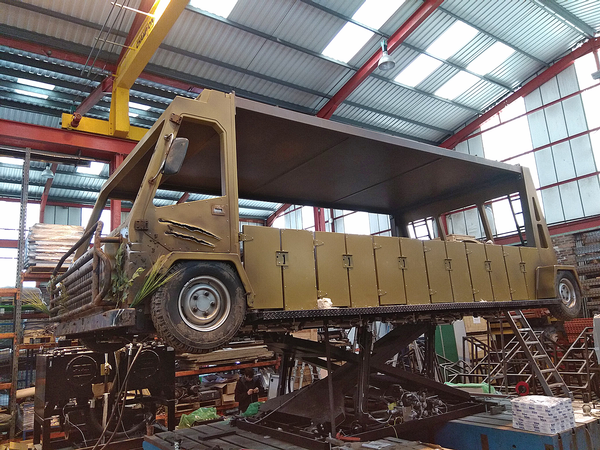 Once the ride has been delivered and is up an running, Simworx continues its relationship with the client, ensuring it remains of the highest quality and is fully operational for visitors. “For a complex, bespoke ride we offer a ‘hand holding’ service where we have an expert technician on site for 30 days after the attraction opens,” says Monkton. “When it’s been running for a month or two, we review the attraction with the client for any minor adjustments. Our offering includes 3D/4D effects theatres, Immersive Tunnels, the Immersive Adventurer, VR 4D Rides, the Stargazer motion ride, Mini Flying Theatre, AGV (Advanced Guidance Vehicle) dark rides, the Cobra motion ride and our ParadropVR system. What sectors do you work in? We work mainly with amusement and theme parks, family entertainment centres, museums, aquariums, safari parks, zoos, retail malls, and in the education and corporate sectors. We’re working on a multitude of projects in various parts of the world. Many are subject to NDAs so we can’t give share this information yet. Two we can talk about, however, are the Immersive Superflume for Trans Studio in Indonesia and the first example of our Mini Flying Theatre for Baosun Wildlife Park in Vietnam. 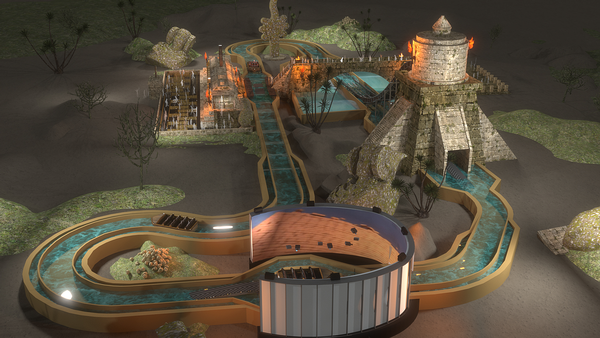 Simworx has recently partnered with with water ride specialist Interlink to create a brand new attraction concept – the Immersive Superflume. Featuring a motion base and immersive screens added to a traditional flume ride, the experience at Trans Studio in Indonesia will be a world first for any visitor attraction when it opens in December 2019. The under development ride will use 16-seater boats and a conveyor loading system, with riders leaving the loading/unloading station to travel through a dinosaur-themed area. On the ride, they enter an immersive tunnel where their boat will stop and huge screens on either side of them bring the dinosaurs to life. 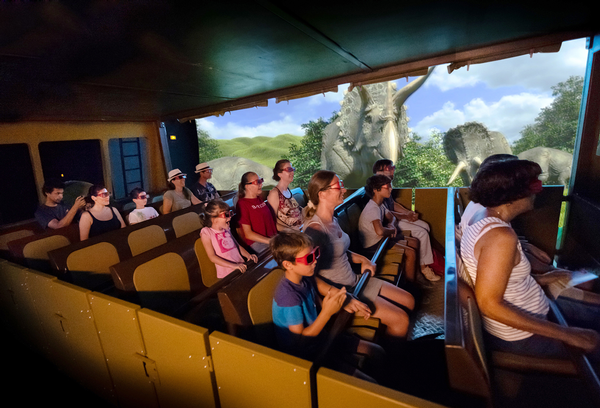 On the ride, the movement of the boats will sync up with the action on-screen as riders escape the prehistoric beasts. Having escaped, the ride will then continue through another dinosaur-themed section before entering a vertical lift, which will include further theming and various special effects. At the ride’s 12m (39ft) peak, the boats will plunge into a final splash pool, before heading back along another section of the ride to the station. 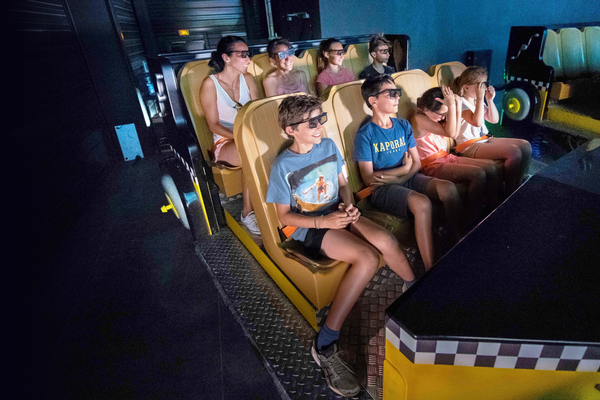 Throughout the ride experience, large screens built to accommodate 3D and 4K projection will be used in combination with an audio system to place riders at the centre of the action. 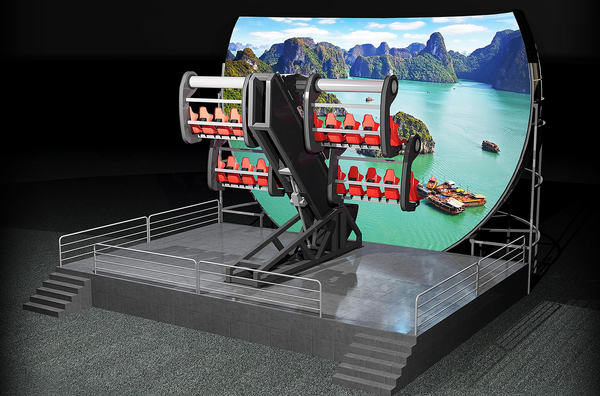 Designed to entertain guests of all ages, the first example of Simworx’s recently-introduced Mini Flying Theatre will open in Q1 2019 at the Baosun Wildlife Park in Hanoi, Vietnam. 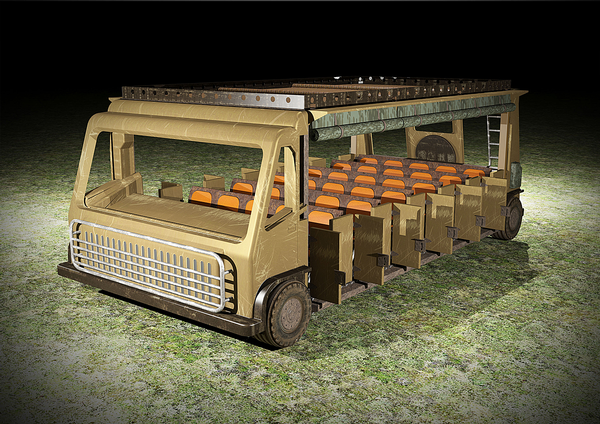 Developed as a smaller option to the 60-seat Flying Theatre also offered by Simworx, the Mini Flying Theatre brings this popular type of attraction into the reach of smaller operators, with a more accessible price range and smaller overall footprint but still utilising cutting-edge ride technology. The ride features an immersive, large format, one quarter dome screen concept, with 20 seats and an hourly capacity of up to 250 guests. Riders are seated in four rows of five – two on each side of a central holding structure – on a normal horizontal plane. 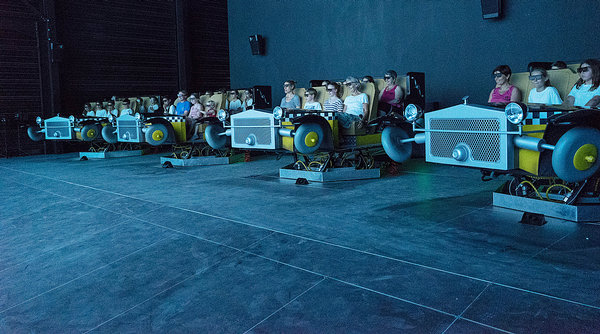 As the ride cycle begins, the seats are lifted into the air in a smooth transition to panorama mode, with the rear rows moving above those in front. Guests experience movement, matched to the on-screen footage. This includes programmable heave and tilt along with forward and backward motion, while the sensation of flying is enhanced with the riders’ legs dangling freely below them. In-theatre effects are also included, with riders experiencing water spray, wind, snow, smoke and special effects lighting. The Mini Flying theatre is also supplied with surround sound audio and an HD or 4K 3D projection system.